Securities & Exchange Board of India or SEBI had issued Institutional Trading Platform exclusively for SME that includes startups vide the SEBI (Listing of Specified Securities on Institutional Trading Platform) Regulations, 2013 (ITP Regulations) vide Gazette Notification No. LAD-NRO/GN/2013-14/27/6720, dated October 8, 2013 to make it easier for technological start-ups to list and raise funds through a dedicated platform on the domestic stock exchanges instead of going overseas for such listings. 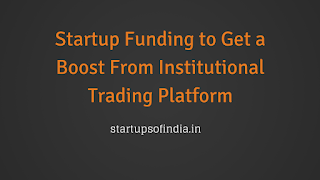 The new rules will create an easy route for the investors in Startups in India to exit as there maybe opportunities to buy and sale shares through the new platform. Until , now investor had to wait for an IPO by the startup company for exiting the company . What is The Institutional Trading Platform (ITP) ? (iii) Companies listed on ITP shall not make a public issue of their securities. 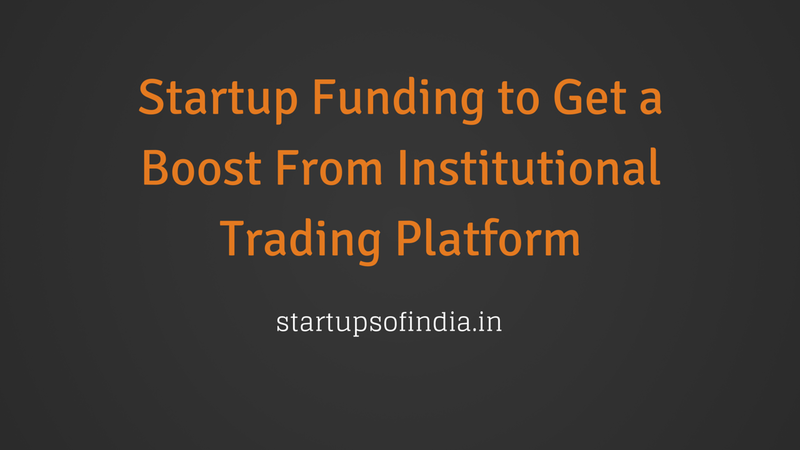 (iv) The the minimum trading lot shall be ten lakh rupees on this platform. Who are eligible to be listed on this trading platform ? (viii) in addition to the above requirements, the company should have received certain minimum investment from the prescribed categories of investors. What is process of listing ? (i) An eligible company may apply to the recognised stock exchange for listing along with the information document containing disclosures as specified under Schedule XIX A of ICDR Regulations. (ii) The concerned recognised stock exchange may issue an in-principle approval to companies eligible for listing on ITP. (iii) A company which has received in-principle approval from a recognised stock exchange for listing of its specified securities on ITP shall be deemed to have been exempted by SEBI from rule 19(2)(b) of the Securities Contracts (Regulation)Rules, 1957 for the limited purpose of listing on ITP. Can a ITP listed company raise money through private placements ? Yes, the listed entity can raise the capital through private placements or rights issue but not through public issue. Is there Minimum promoter shareholding and lock-in period clause ? Yes, it has been provided that nNot less than 25% of the post listing capital of the company shall be held by the promoters at the time of listing with a locked-in for a period of three years from date of listing. I read each line of article, well informed about SEBI. Looking for more useful post and really appreciate for this wonderful work. Can you provide MCX HNI Tips service.